Ukrainian billionaire Rinat Akhmetov wishes to retain no less than 50% of control over the Opposition Bloc Party, which may cause the political force to split, a Ukrainian journalist Denys Kazanskiy says. "Today I was told some details of undercover showdown within the Opposition Bloc and a likely split of this party into two projects - of [former chief of Yanukovych’s presidential staff Serhiy] Lyovochkin and Akhmetov - in the near future," Kazanskiy wrote on Facebook, citing his source familiar with the matter. "Until now, both oligarchs reigned over this political project on a 50/50 principle. But now the Russian partners have strongly "asked" Lyovochkin and Akhmetov to welcome on board the third partner – Viktor Medvedchuk, who should gain 30% of control over the Opposition Bloc," the journalist wrote. Read alsoYanukovych’s testimony void, he was caught lying many times – prosecutor"However, the Akhmetov team defied this approach [...] Akhmetov rigidly opposes any blurring of his stake in the Opposition Bloc. But negotiations are still ongoing, as Medvedchuk, along with the Kremlin team, are trying to force the oligarch to be more flexible. The chosen tool of influence is clear – it’s Akhmetov’s assets in “Luhansk and Donetsk people’s republics”. 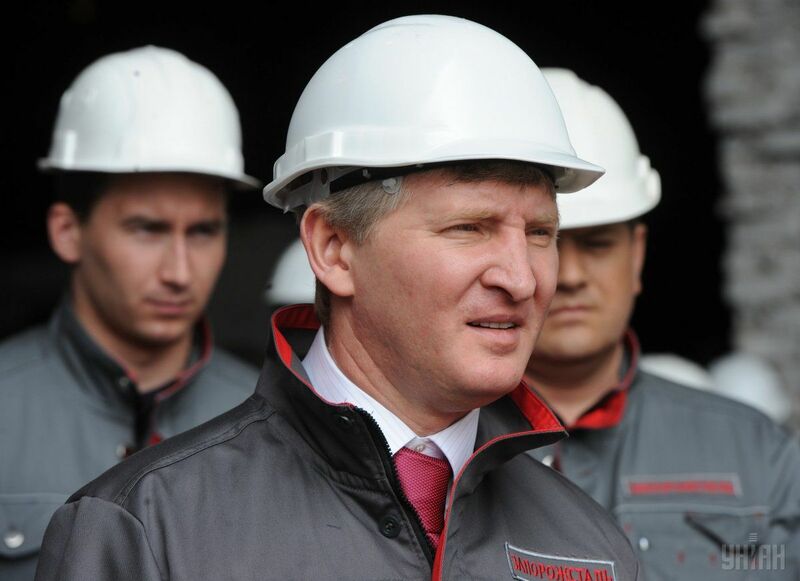 Within this trend, DPR militants recently started to seize from Akhmetov his "Komsomolske Mining Group", where the "interim administration" was introduced [...] If Akhmetov goes for concessions, then the party will remain in place. If not, the Opposition Bloc will disintegrate, and two new projects will arise in its place. One of them (Akhmetov’s) will be more loyal to the authorities, while another one (of Medvedchuk-Lyovochkin) will directly defend the interests of the Kremlin," wrote Kazanskiy. Read alsoTycoon Akhmetov again named the richest UkrainianAs UNIAN reported earlier, on January 17 co-chairman of the Opposition Bloc faction in the Verkhovna Rada Yuriy Boyko said, that he was unaware of any "split" in the party ranks.